If my blog has been strangely silent in August it is because I was away travelling. My camera was busy and now that I am home, I am slowly sorting through photographs and processing my memories. Our trip started in Dublin at an Airbnb situated near the Guinness brewery. In fact the air was infused with the aromas coming from the factory. Walking along the street beside the factory portion of the brewery you can see that the area once served other purposes. The decision to go on a trip to Ireland started with a conversation with my brother who lives in England. 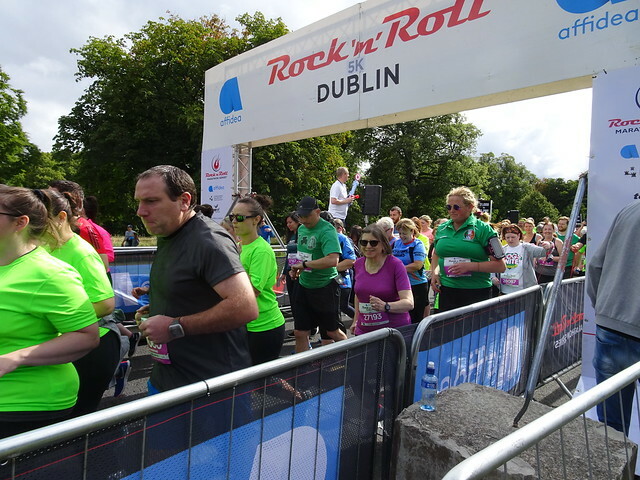 His daughter had convinced him to do a 5 K race while both of them were in the U.S. and we discovered there was a 5 K being held in Dublin. We agreed to meet there. I had never run in my life but decided to challenge myself and train. Just out of the start you can find me (short in pink). I figure I have to take far more steps to reach my goal than all those tall runners! The run took us through Phoenix Park which Dubliners are quick to point out is much larger than Central Park in New York. I fully admit I walked and ran - alternating. 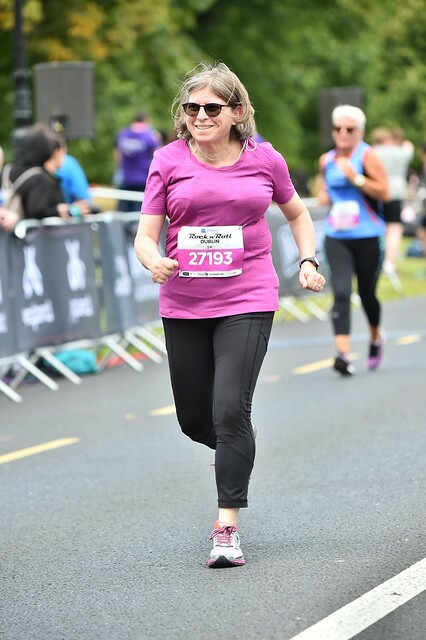 Though I probably ran just over half the course. I did it! In a time I had never expected to get. Great to set new goals and new challenges. And great to have it behind me so I could just enjoy the rest of the trip without thinking of training. We all went out for a celebratory lunch. My niece still had the 1/2 marathon to do the next day. 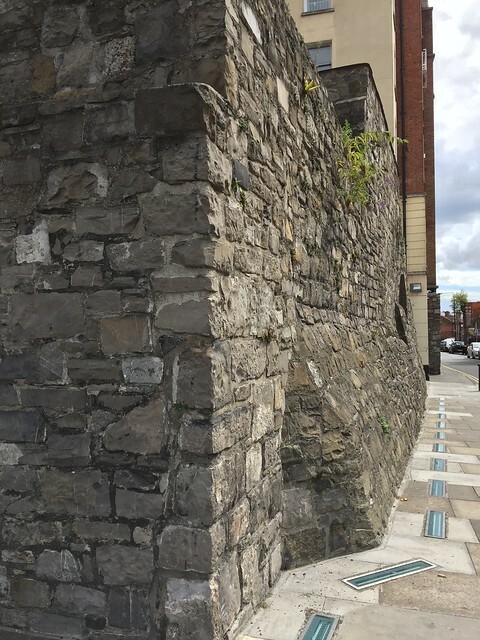 Here you can see a remnant of the original city wall. 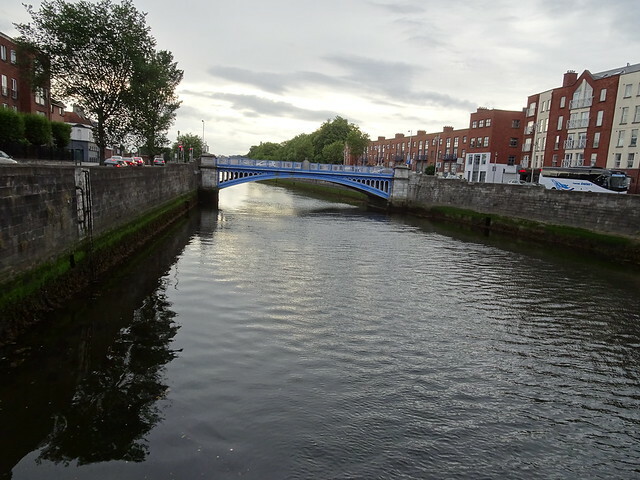 The River Liffey is straddled by many bridges. This one was near where we stayed - the photo was taken from the James Joyce Bridge - named after one of Ireland's most famous authors. Ireland has certainly produced many fabulous writers. In the early 9th century Vikings attacked the settlement and by 841 they made a permanent settlement there. It became the Viking's largest city with with trade occurring from Iceland to Constantinople. Many Viking artifacts have been found. A number have been embedded on streets where they were found. 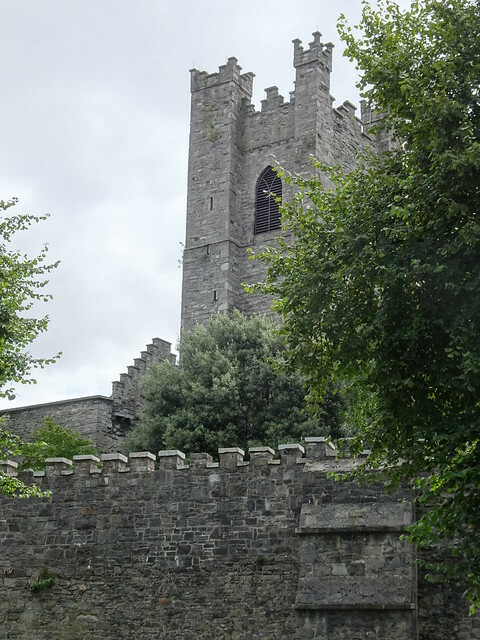 This is one of the few medieval churches that remain in Dublin - St. Audoen's (as seen from the back). It was named after St. Ouen of Rouen. 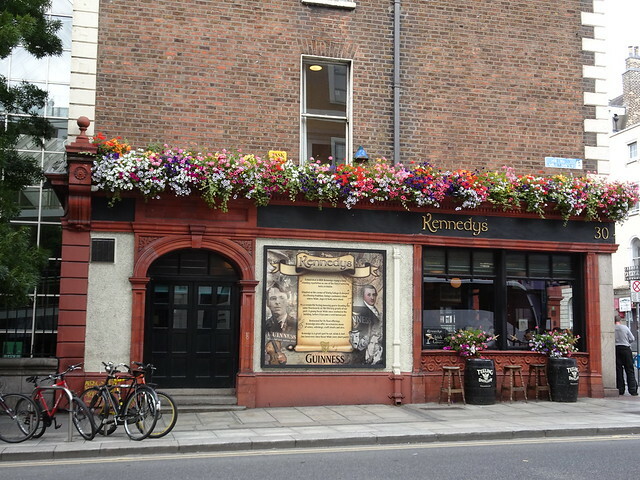 It was erected in 1190 by the Anglo-Normans who arrived in Dublin after 1172. 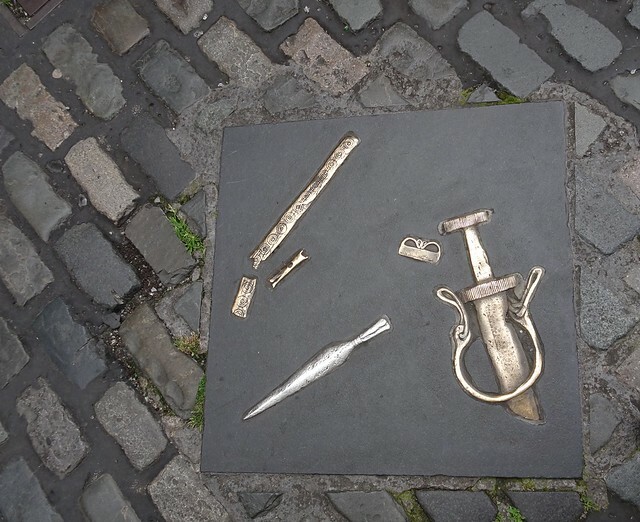 Dublin became the capital of Irish Anglo territory. 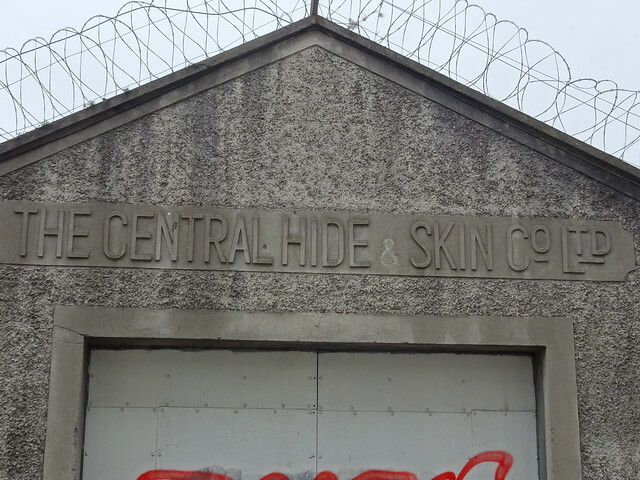 More on Dublin to come. Your talents never cease to amaze me! Now you can add marathon runner to your accomplishments. Great work, and lovely photos! So impressed. Can't wait to read more. You had a great challenge, Susan!The medieval church is beautiful and very different from Asian old buildings. I look forward to seeing your other photos from your trip! Congrats on the 5k! Quite an accomplishment. 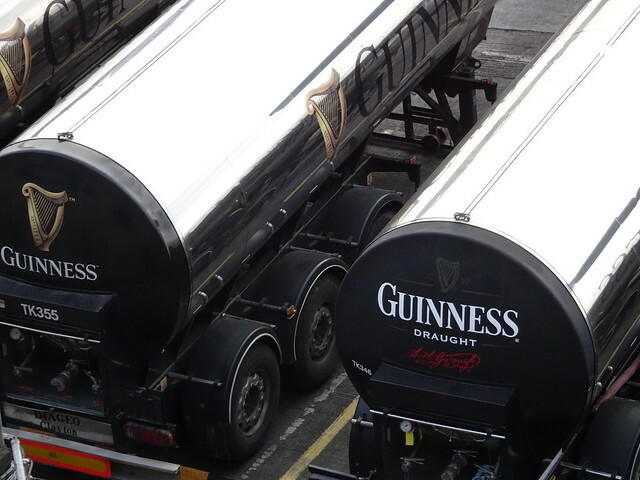 Enjoying all your pictures (and craving a Guinness :).